Speaking with Israeli businessmen in Ramallah, PA chairman expresses hope that peace negotiations will begin following the election. 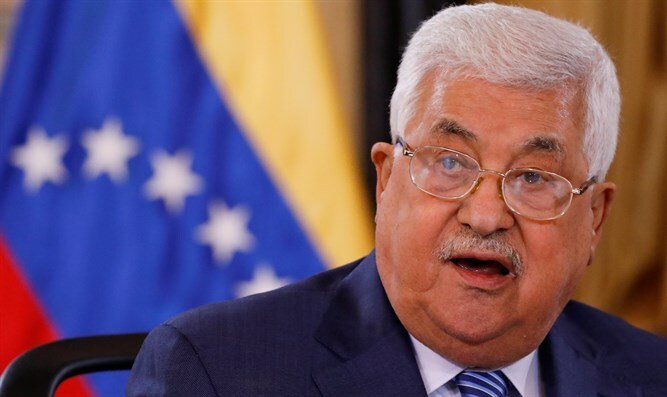 Palestinian Authority (PA) chairman Mahmoud Abbas on Thursday referred for the first time to the upcoming elections in Israel and expressed hope that peace negotiations between Israel and the PA would begin following the election. Abbas’ comments came at a meeting with Israeli businessmen in his office in Ramallah, according to Kan 11 News. "I hope we will negotiate as two equal parties who recognize the other’s existence. Everyone will bring up his demands but not necessarily achieve everything he wants. It is impossible to continue with the current situation that does not bode well - invasions every day, settlements and killing," said the PA chairman. Abbas also discussed the security coordination with Israel, and said that security must be maintained even when there is no progress in the diplomatic channel. "We respect Israeli security and hope that the Israeli army will respect our security. We are against violence, terrorism, extremism and incitement everywhere in the world," he claimed. While the PA chairman claims he is ready to sit down for peace talks, he has continuously rejected Prime Minister Binyamin Netanyahu’s call to sit down for peace negotiations, and has instead chosen to impose preconditions on talks. Abbas has also rejected the US peace plan being formulated by the Trump administration before it has even been unveiled. The Israel-PA peace process has been frozen since 2014, when Abbas breached conditions of talks that were ongoing at the time by unilaterally joining international treaties and conventions.